Nasodren for Sinusitis Treatment: Itching sensation after Nasodren? Why I could feel some itching sensation after Nasodren? 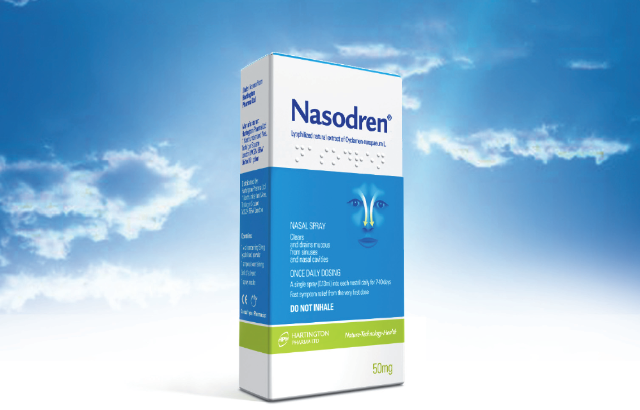 Nasodren acts physiologically, physically stimulating the terminal endings of the trigeminal nerve in the nasal mucosa. This specific mechanism of action can produce some itching, sneezing, a brief sensation of burning sensation in the nasopharynx and more rarely, a brief lacrimation and flushing of the face. These are manifestations of the positive response to the product. The intensity of these sensations varies from one person to another and normally these effects usually diminish during the course of treatment. It is important not to inhale the product as it can make these sensations more intense. Nasodren is a very safe product since its active ingredient, saponins, is not absorbed and consequently they do not reach bloodstream and don’t produce systemic side effects, i.e. do not affect the liver, the kidneys or other organs. Obviously, Nasodren not produce any alteration of nasal or paranasal mucosas.